Since Gypsies appeared in european culture, the unearthly has followed. Fortune telling, for example, has been one of their most immediate economical resources. So, as that moment, magic and Gypsy were born together. Before dju-dju or voodoo-that were direct descendants of the colonial exploitation in Central-Africa or the Caribbean – before these practices embodied fear of the unknown, Gypsies embodied that curse. Needless to say, Gypsies took those fears to Flamenco. 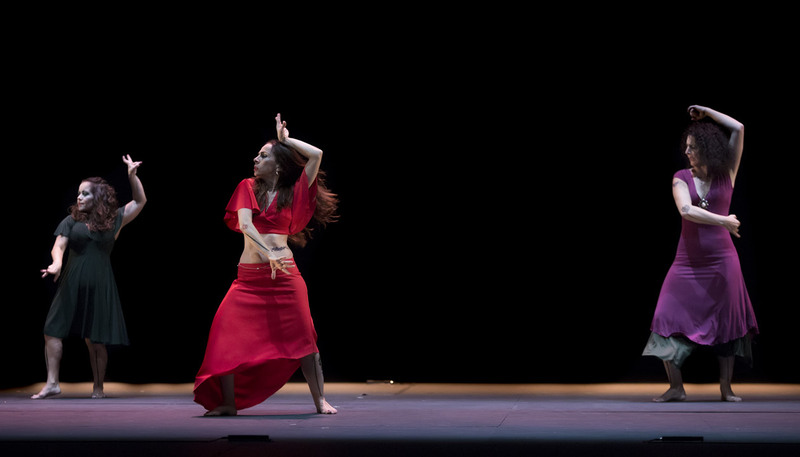 The magical has left us a hygienic vision of what still is a constituting element in the process of making Flamenco. And in that swampy world is where Isabel Bayón and Israel Galván are going to get lost. Troubling feelings, magic, superstition, jinxes, fixations, words that mustn’t be said, amulets, magical rituals and everyday rituals. That which you cannot touch with your hands. So we are actually trying to know why we tighten our stomachs when we have a bad feeling, why we swear impetuously when faced with a challenge, why we carry our pockets filled with little coins and stones as if our luck depended on them. Everything we do daily without thinking about it and we stop in fear when facing it. The electricity that runs through our body when we are startled. Bad thoughts. Hexes. Bad Luck ,mal fario. La bají. El mal Bajío. Fear. Apprehension. Disgust. El dju-dju.